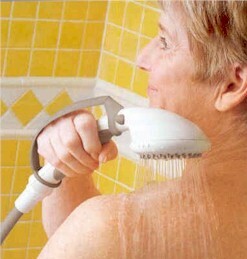 Whether you have arthritic hands, Parkinson's, or a need to sit while showering this is the handheld shower for you! 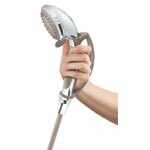 Moen ChromePause Control Handheld Shower is the latest in user friendly shower options on the market today. 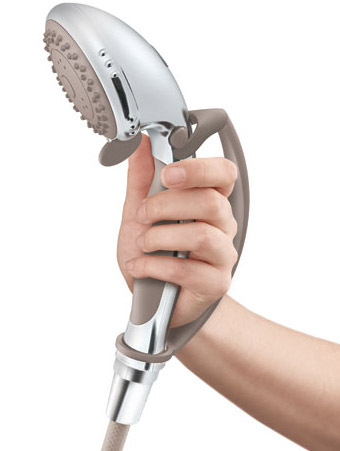 With its ergonomically designed soft grip handle, safety strap and water Pause control, showering has now become easy for anyone! 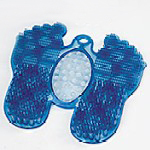 The Double Foot Massager is an easy and effective way to clean the bottom of your feet without bending! It is especially useful for people with Diabetes, Arthritis, or simply has difficulty bending. 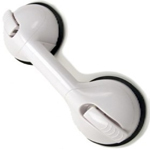 The durable, commercial grade suction cups on this grab bar will give you the confidence you need to move freely and independently without worry.